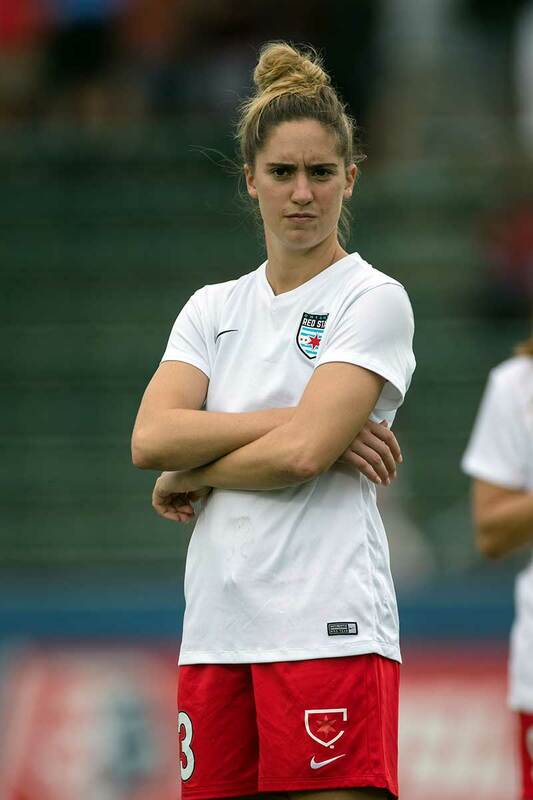 Morgan Brian. Meme worthy. "Here's looking at you, kid." 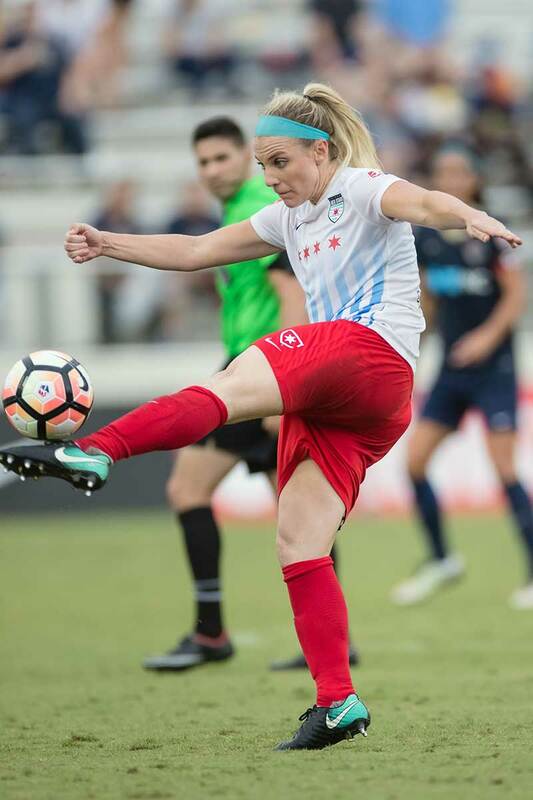 Julie Ertz of the Chicago Red Stars. 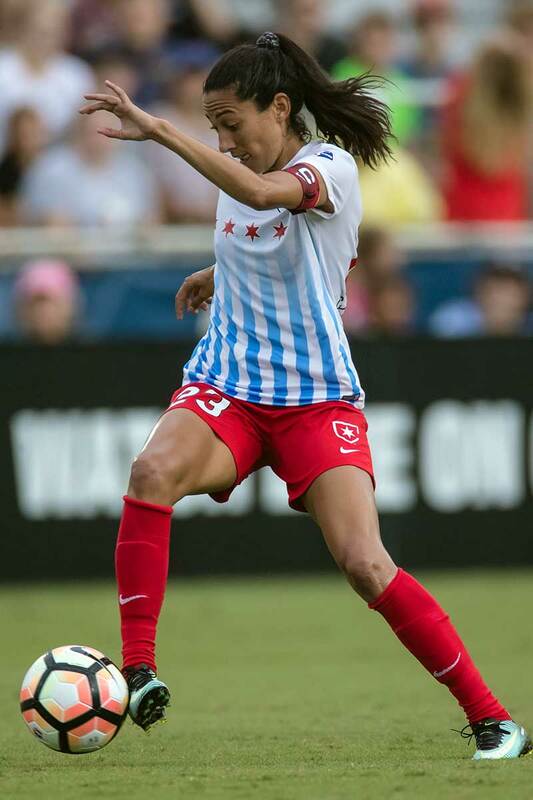 Christen Press with the Chicago Red Stars. 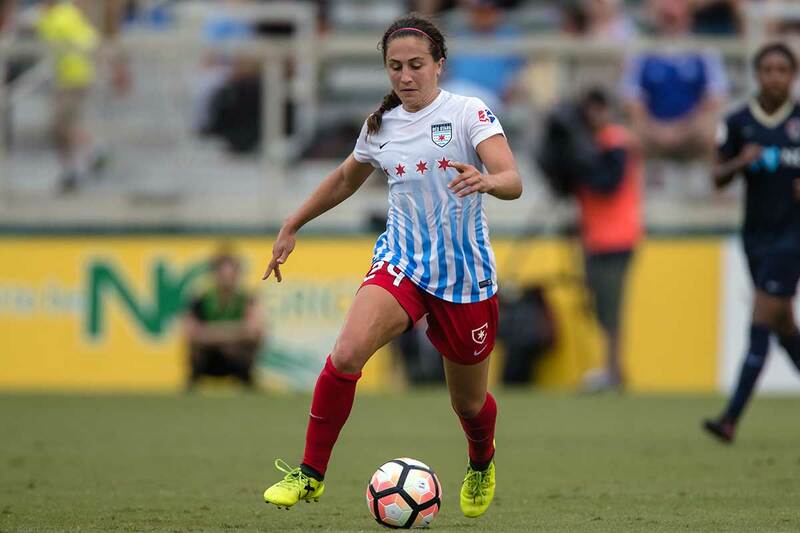 Katie Naughton of the Chicago Red Stars. 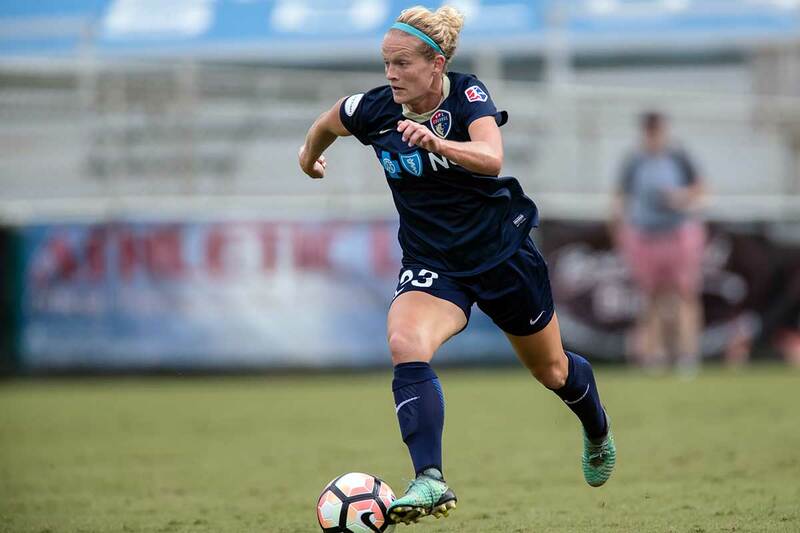 Sam Mewis of the North Carolina Courage. Sofia Huerto on the attack. Debinha after taking a hard fall. Debinha is remarkably calm after dislocating her elbow. Debinha helped off after suffering a dislocated elbow. Jaelene Hinkle and Jen Hoy. 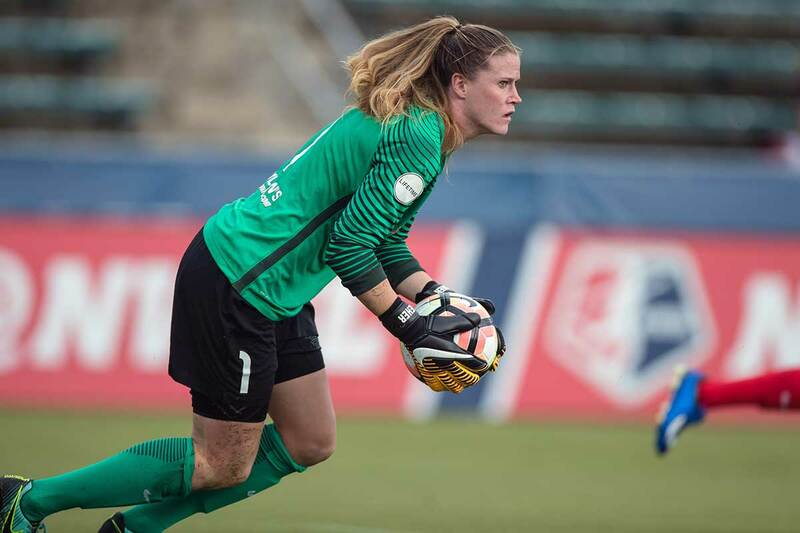 Alyssa Naeher of the Chicago Red Stars. 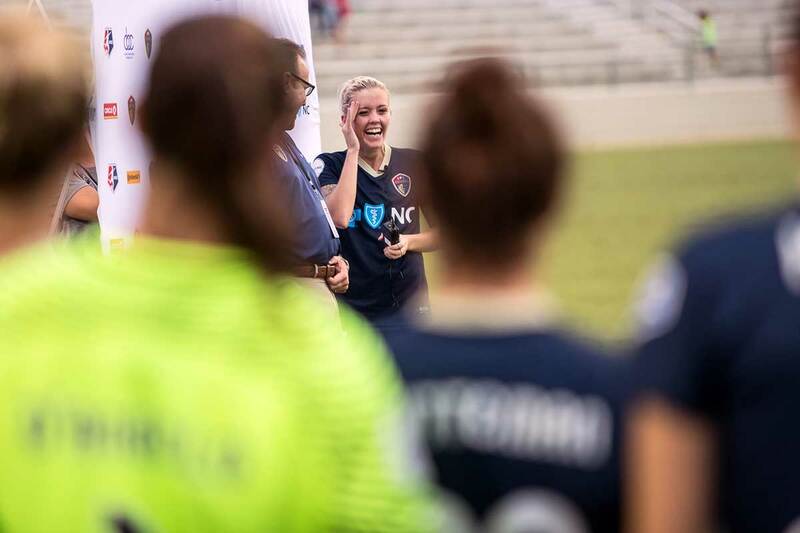 North Carolina Courage' Denise O'Sullivan. 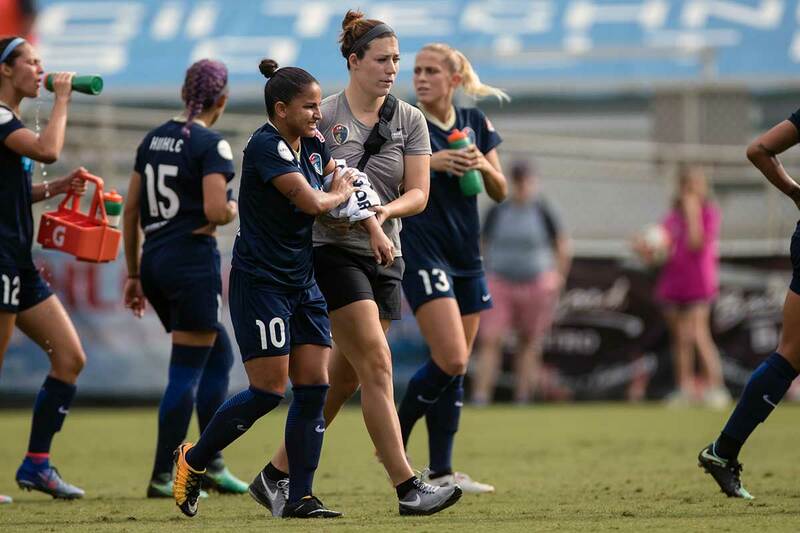 Lynn Williams not really feeling the shirt grab by Julie Ertz. Denise O'Sullivan in action. When a game of Twister breaks out at a soccer match. Sam Mewis and Danny Colaprico. We're sensing a pattern here, Sam. Sam Mewis and Christen Press vying for the ball. 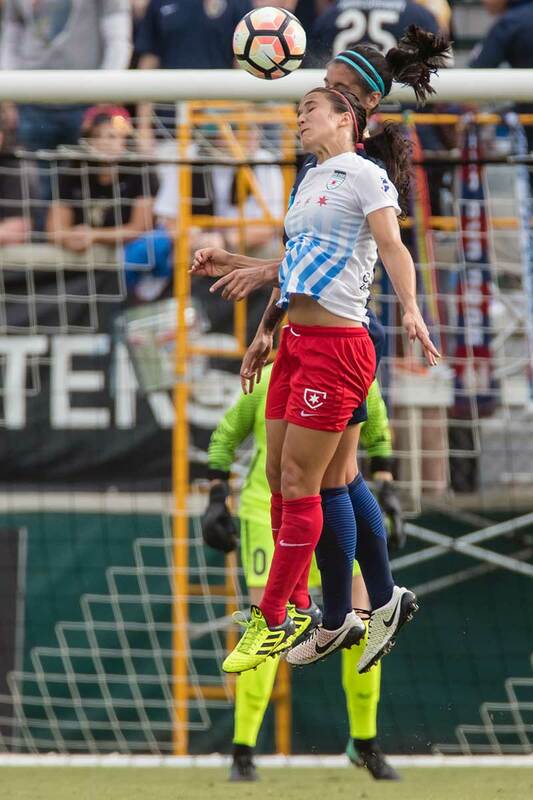 Yuki Nagasato of the Chicago Red Stars. Us too, Alyssa. Us too. 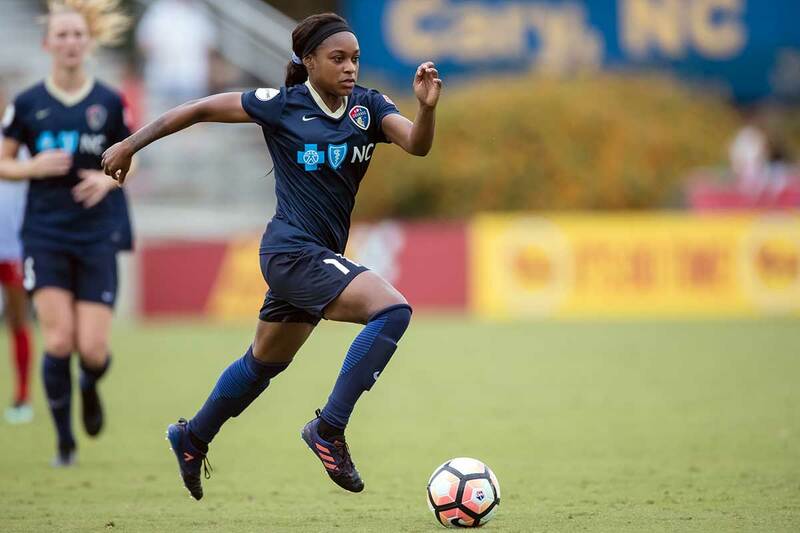 McCall Zerboni of the North Carolina Courage. Julie Ertz sends the ball up the field. 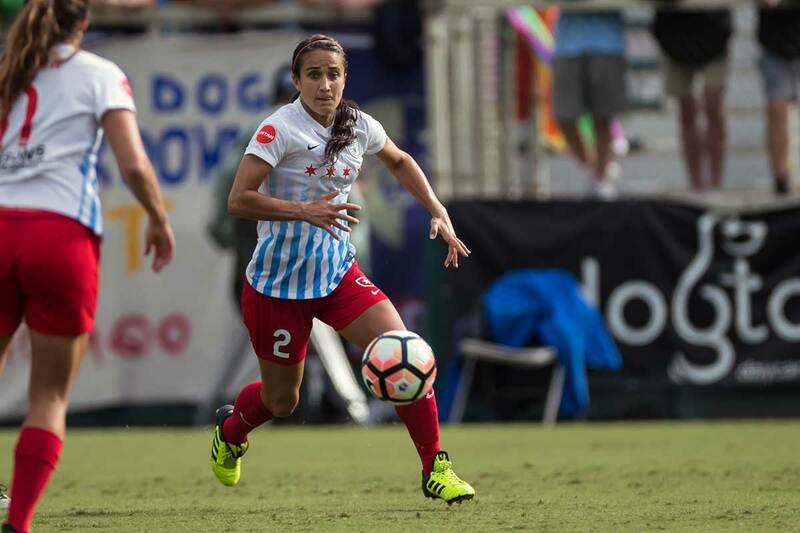 Alysaa Naeher in action for the Chicago Red Stars. 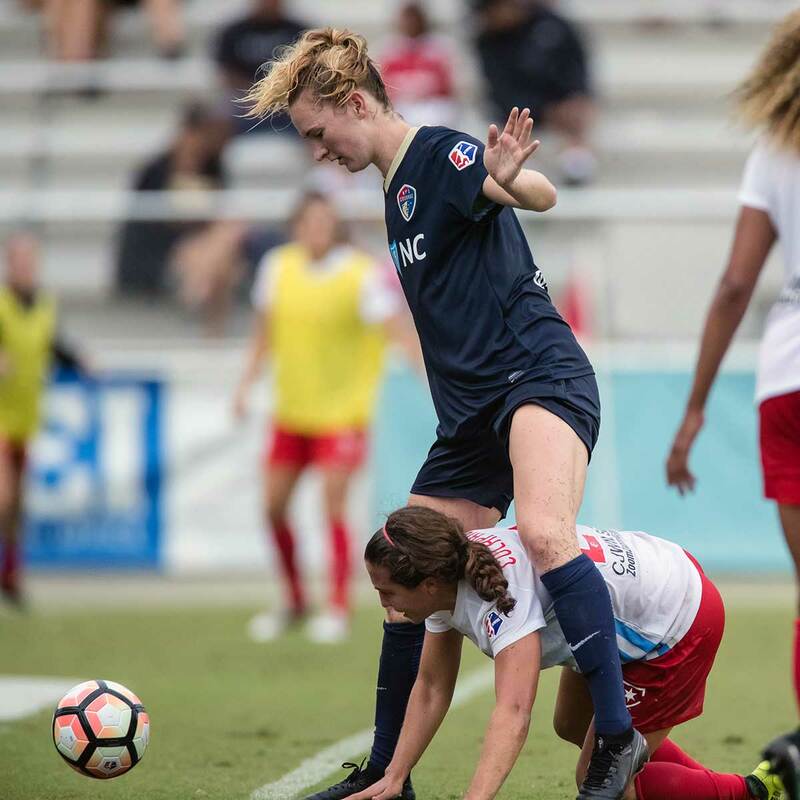 Taylor Smith on the attach for the North Carolina Courage. North Carolina's Lynn Williams and Chicago's Christen Press. Casey Short makes the tackle on Ashley Hatch. Abby Erceg gets up. If not for Naught[on]. 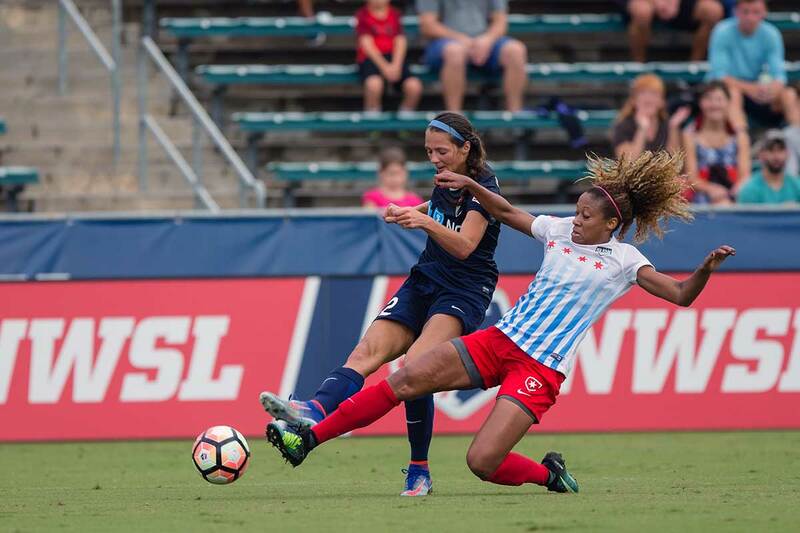 Katie Naugton makes a goal-line clearance for the Chicago Red Stars. Christen Press on the ball and on the attack. Lynn Williams looks for options. Danny Colaprico in the midfield for Chicago. Ashley Hatch rises for the header. This look says its all. 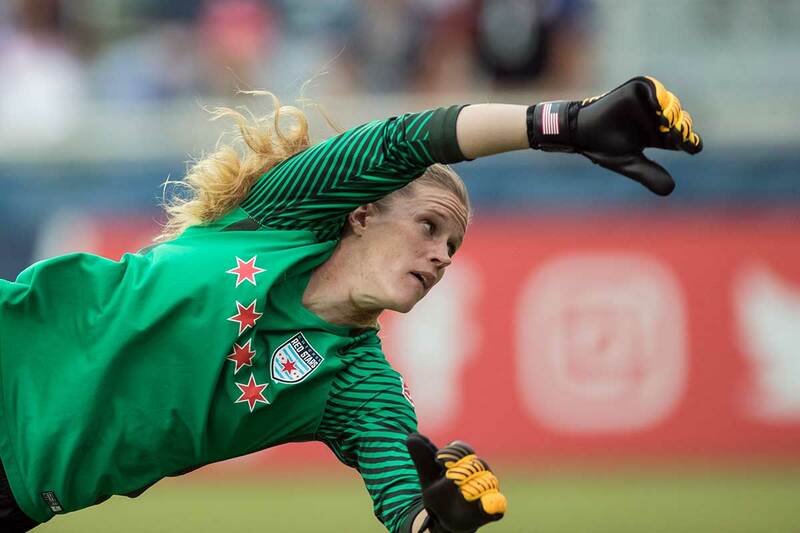 Alysaa Naeher makes a save for the Chicago Red Stars. 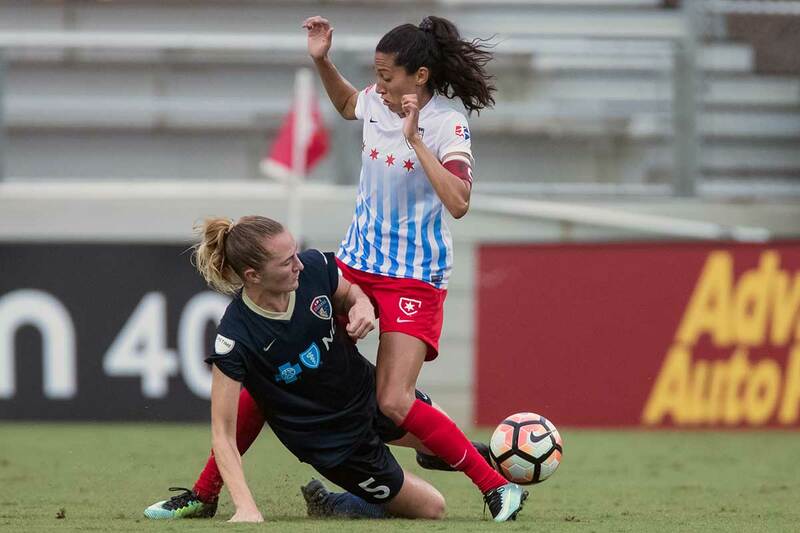 Jen Hoy holding it down on the field for the Chicago Red Stars. Kristen Hamilton on the move. Danny Colaprico and Abby Erceg vie for the ball. Vanessa DiBernardo and Kristen Hamilton. Vanessa DiBernardo, Sam Mewis, and Sofia Huerta. Sam Mewis maneuvers past Julie Ertz. 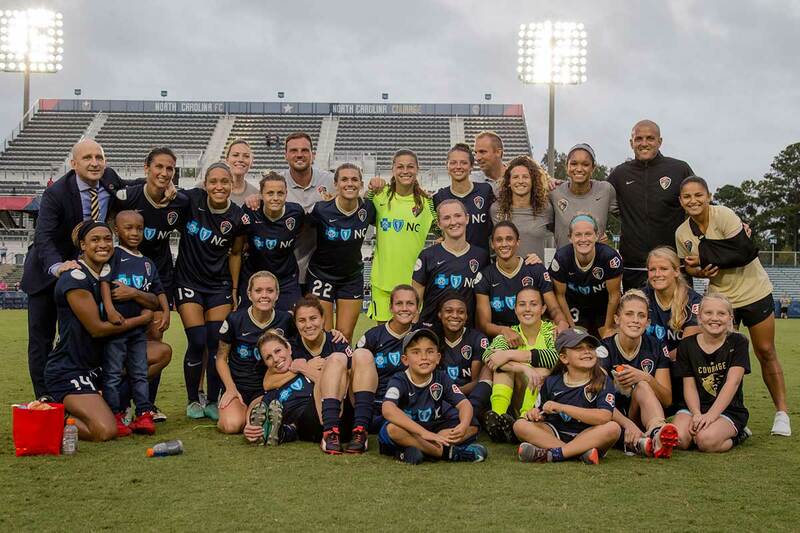 North Carolina Courage celebrating after their semifinal win. 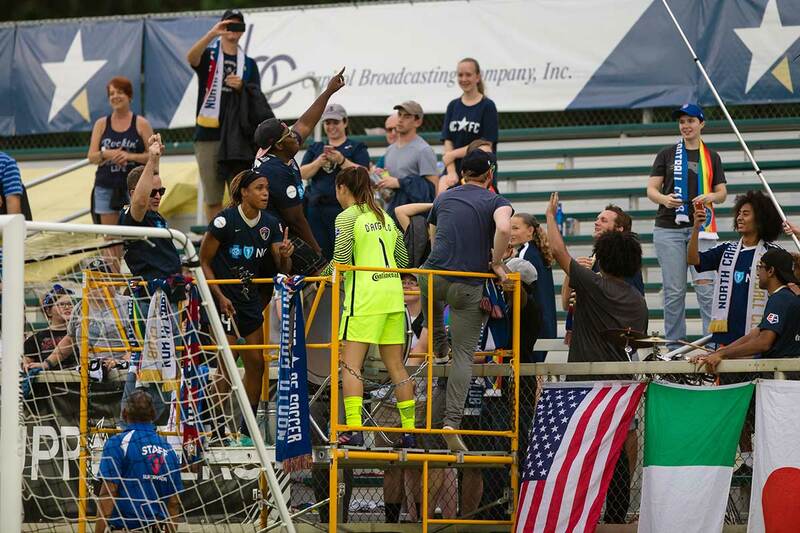 High fives and smiles for the North Carolina Courage. "C'mere, guys!" Jessica McDonald and Sabrina D'Angelo holding it down with the drums. Jessica McDonald and her son after the game. Try not to smile looking at this. Bruins sharing a moment after the game. Sam Mewis and Abby Dahlkemper. 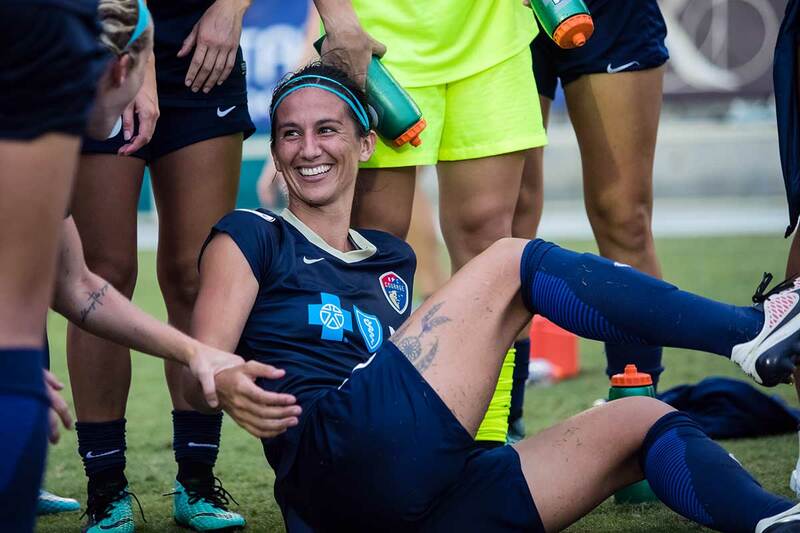 Abby Erceg, captain of the North Carolina Courage, after the semifinal match against the Red Stars. 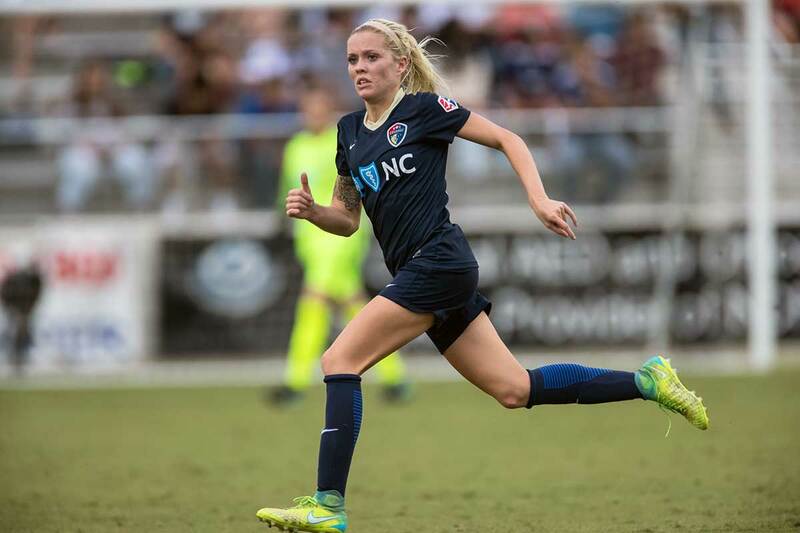 Denise O'Sullivan of the North Carolina Courage. 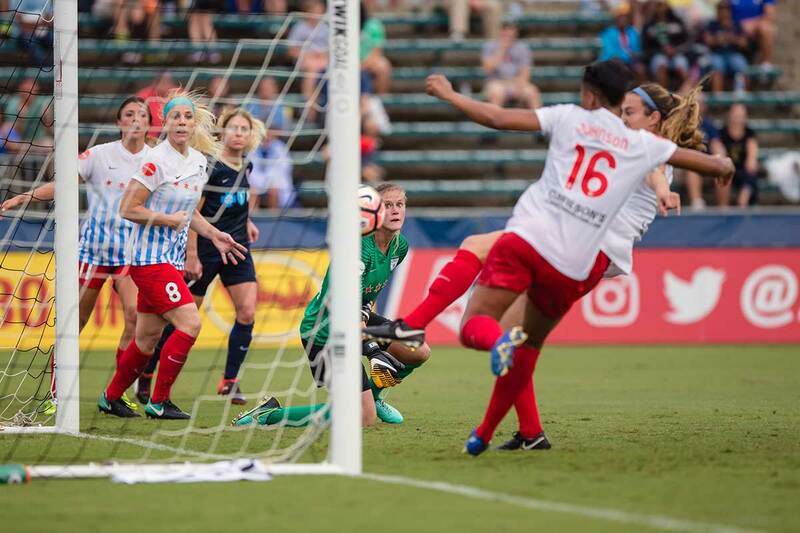 O'Sullivan's had the late game-winner to send the Courage to the 2017 NWSL Championship. 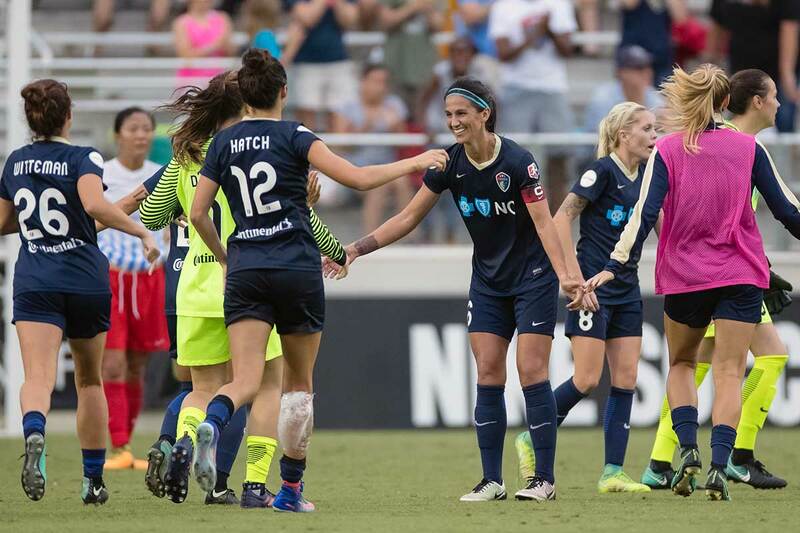 North Carolina Courage team headed to the 2017 NWSL Championship. 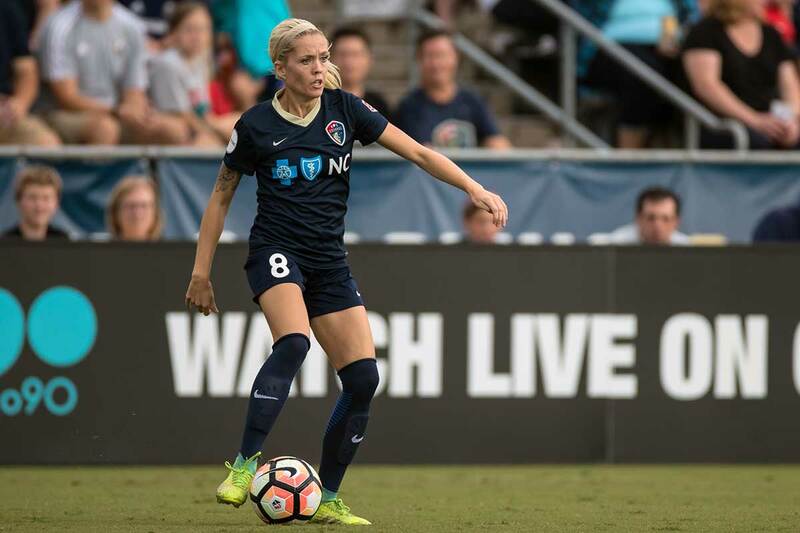 Denise O’Sullivan scored the game-winner in the 89th minute to send the North Carolina Courage to the 2017 National Women’s Soccer League (NWSL) Championship in a semifinal match on Sunday, October 8, in Cary, North Carolina. The Courage, the team formerly known as the Western New York Flash, return to the championship game after a 1-0 victory over the Chicago Red Stars. 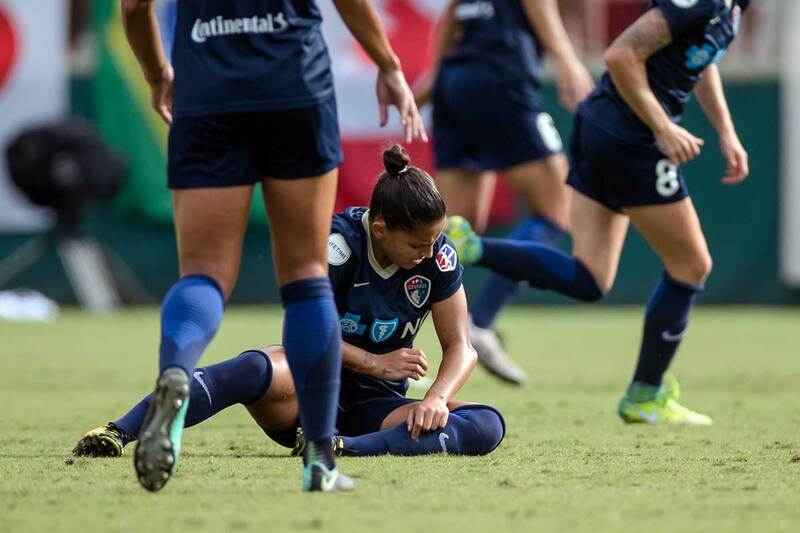 Last year, the Flash won the NWSL Championship after a penalty-kick shootout victory over the Washington Spirit. The defeat was the third straight semifinal loss for Chicago. 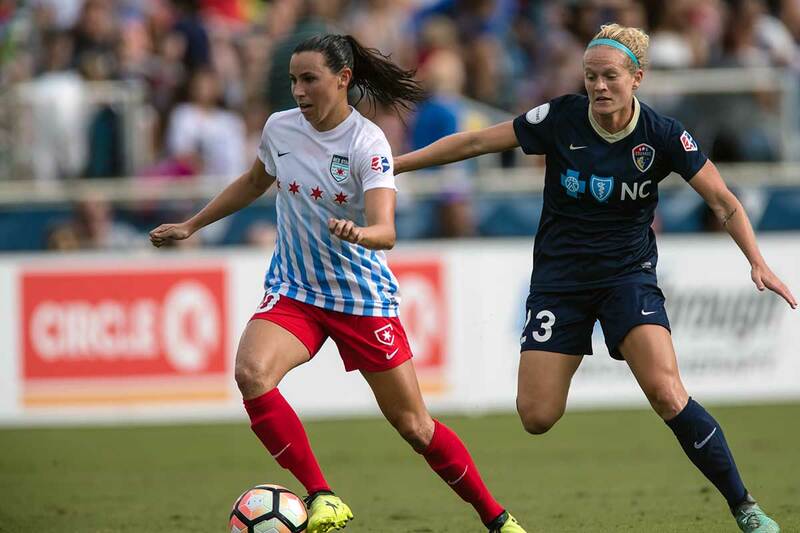 North Carolina will face the Portland Thorns, 4-1 winners over the Orlando Pride in the other semifinal, in the NWSL Championship at Orlando Stadium on Saturday, October 14. 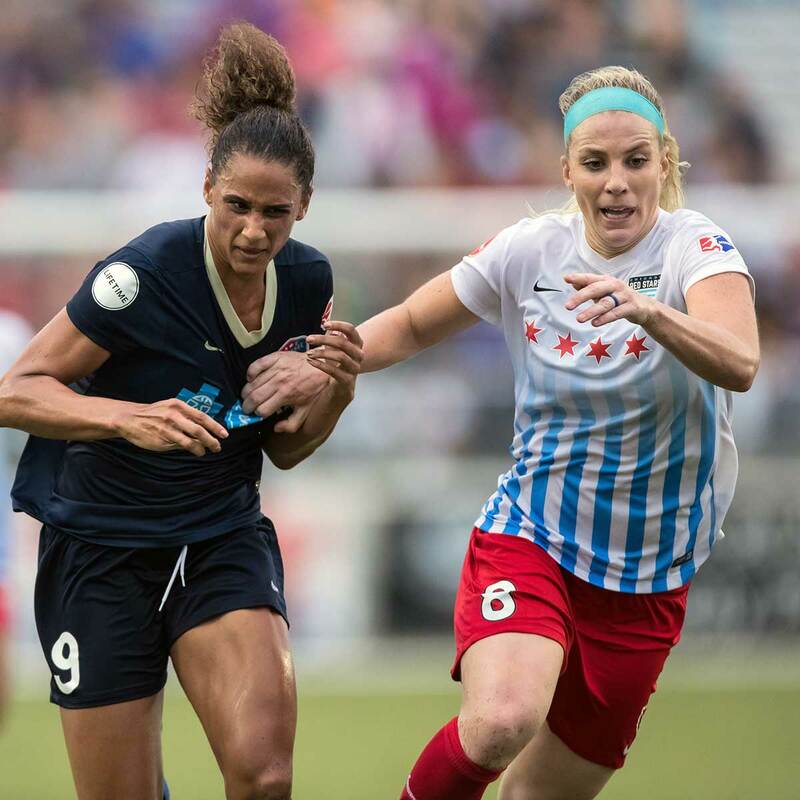 The Courage will try to become the first team to win the NWSL Shield, the trophy given to the regular season champs, as well as the league Championship in the same season. 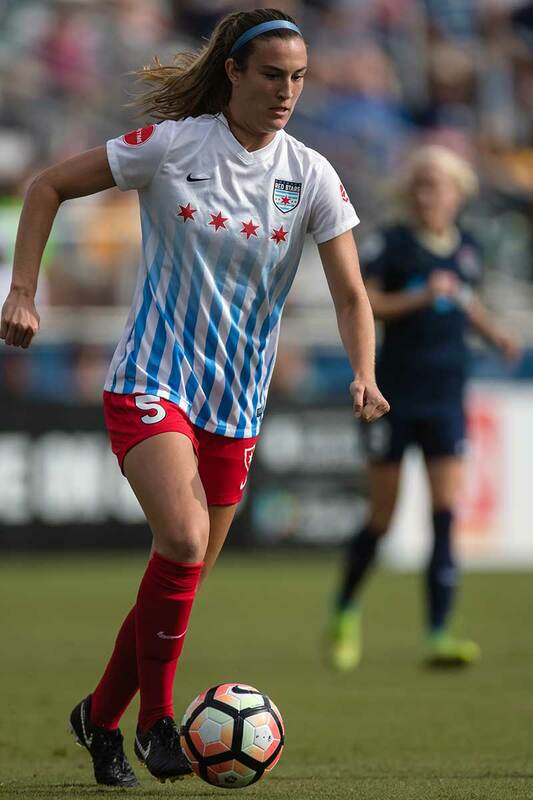 Katie Naughton of the Chicago Red Stars. Sofia Huerto on the attack. Jaelene Hinkle and Jen Hoy. 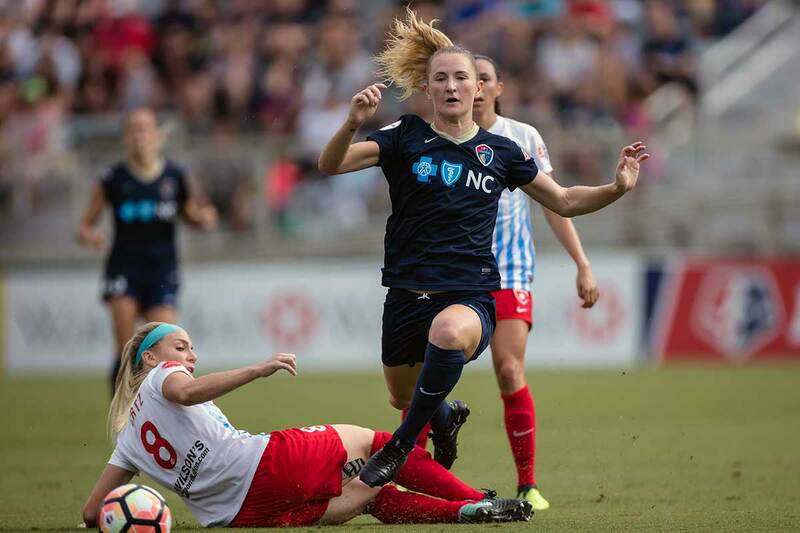 Sam Mewis of the North Carolina Courage. 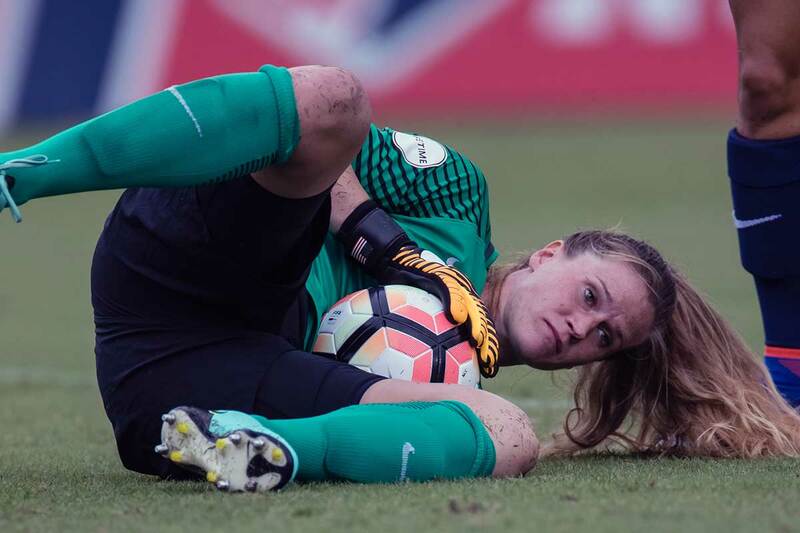 Alyssa Naeher of the Chicago Red Stars. 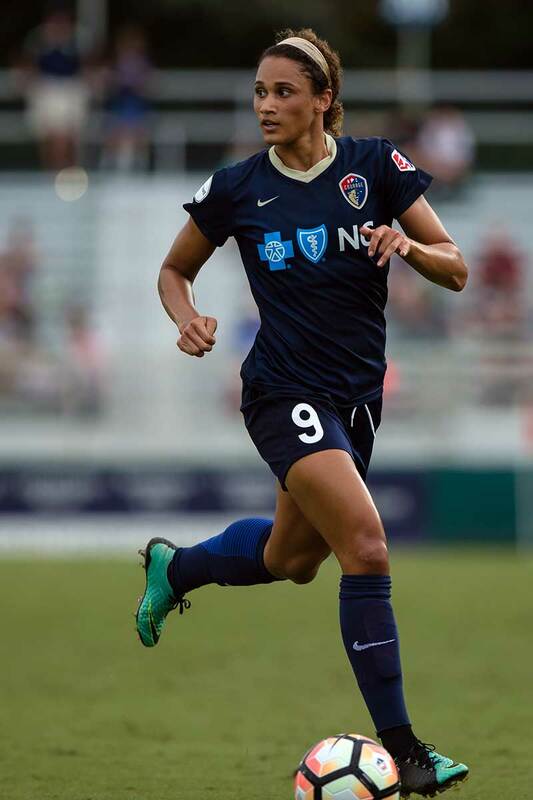 North Carolina Courage’ Denise O’Sullivan. 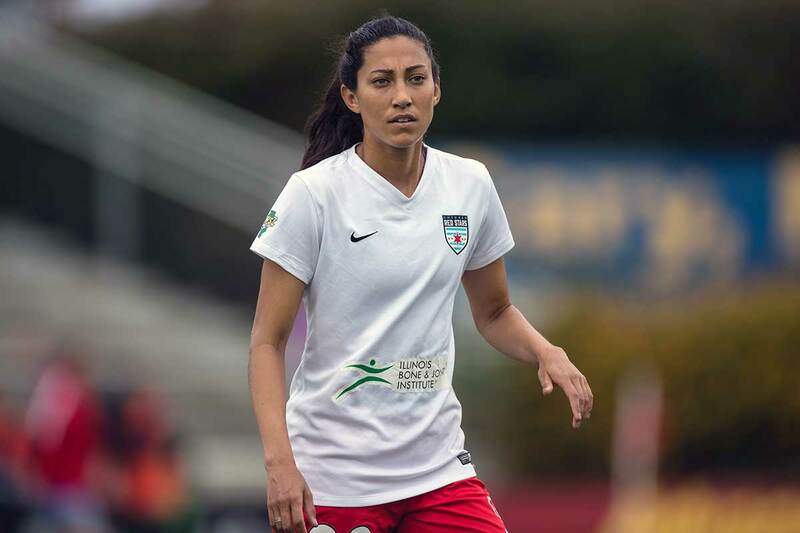 Christen Press with the Chicago Red Stars. 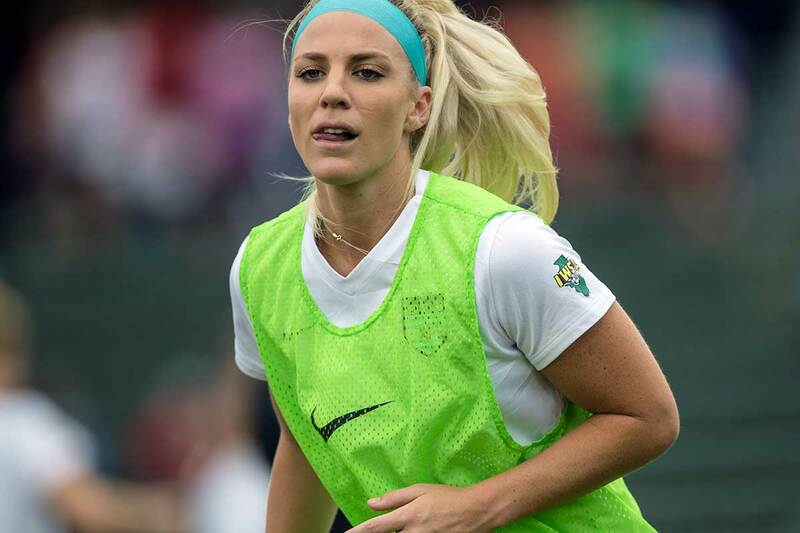 Julie Ertz of the Chicago Red Stars. 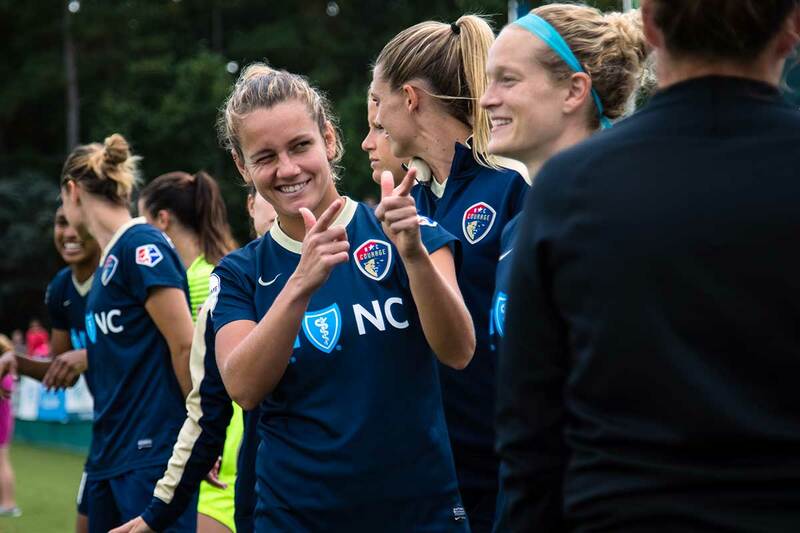 North Carolina Courage team headed to the 2017 NWSL Championship. 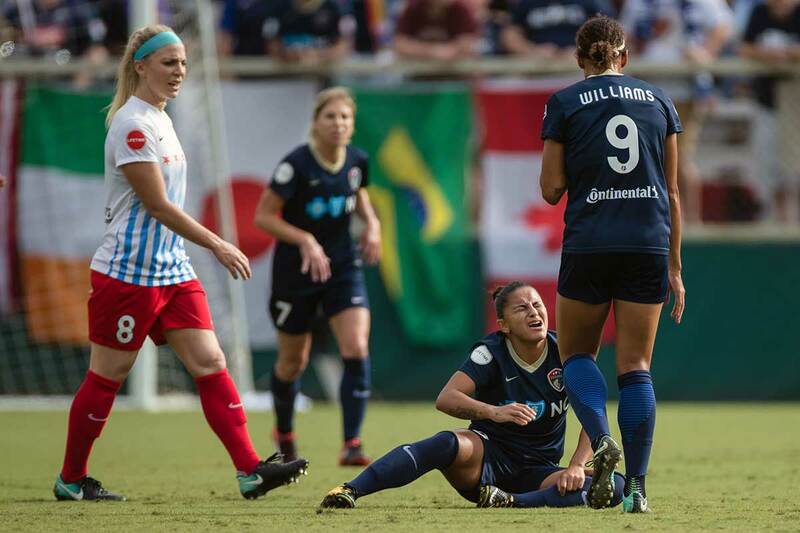 Abby Erceg, captain of the North Carolina Courage, after the semifinal match against the Red Stars. 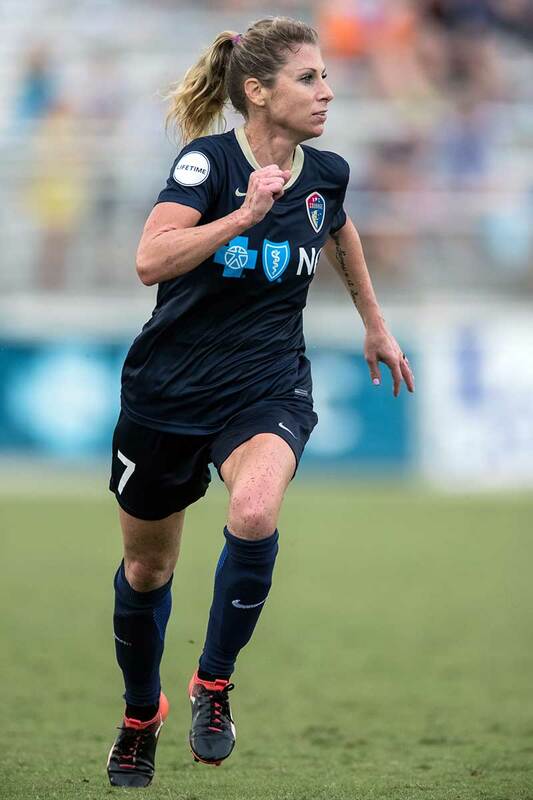 Denise O’Sullivan of the North Carolina Courage. 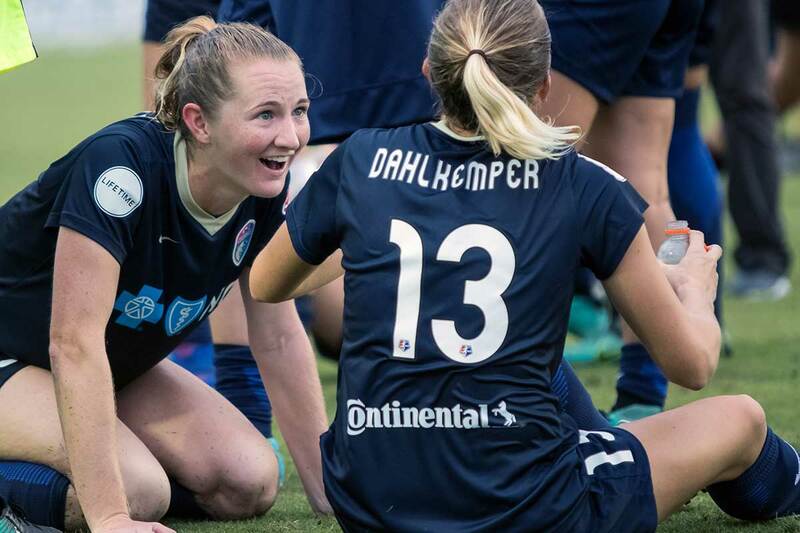 O’Sullivan’s had the late game-winner to send the Courage to the 2017 NWSL Championship. 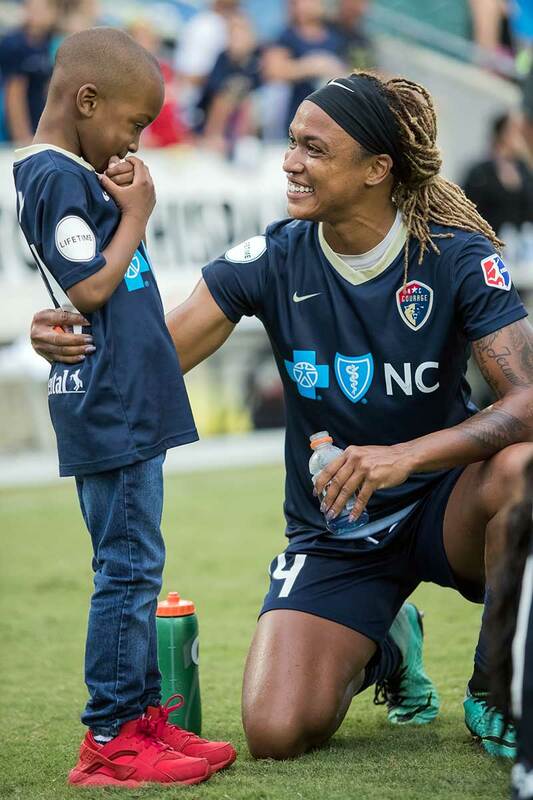 Jessica McDonald and her son after the game. Try not to smile looking at this. Bruins sharing a moment after the game. Sam Mewis and Abby Dahlkemper. Jessica McDonald and Sabrina D’Angelo holding it down with the drums. 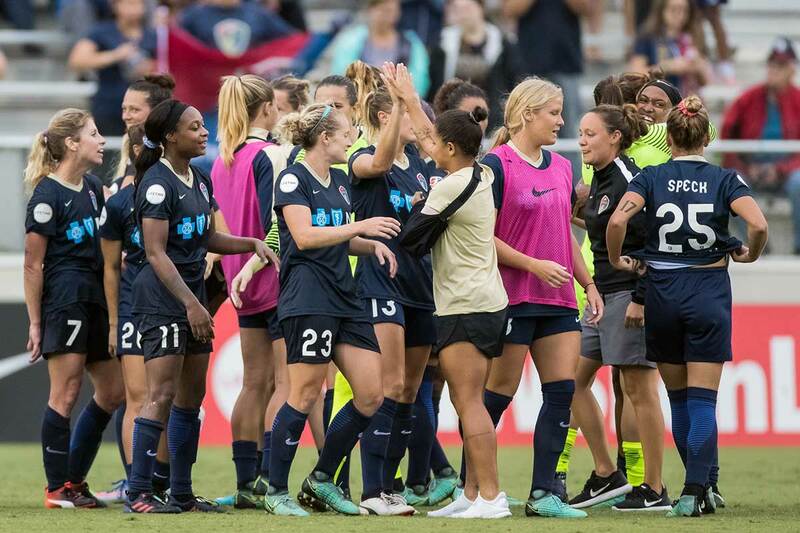 North Carolina Courage celebrating after their semifinal win. 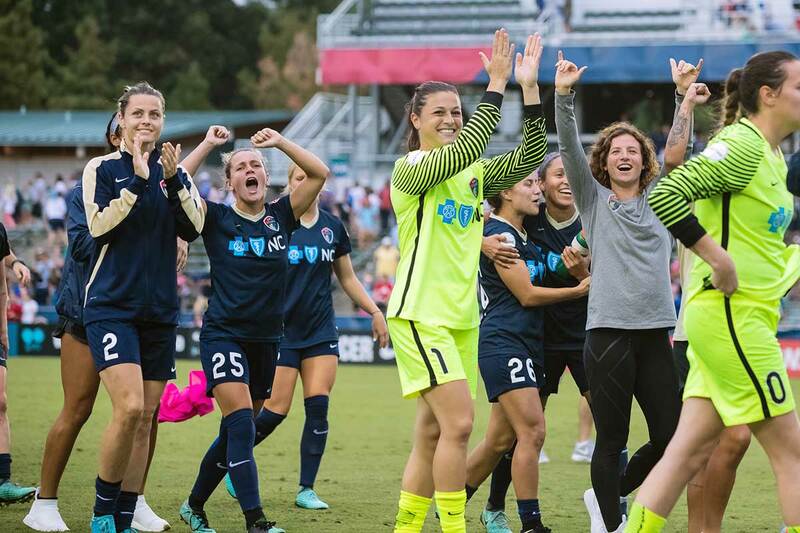 High fives and smiles for the North Carolina Courage. 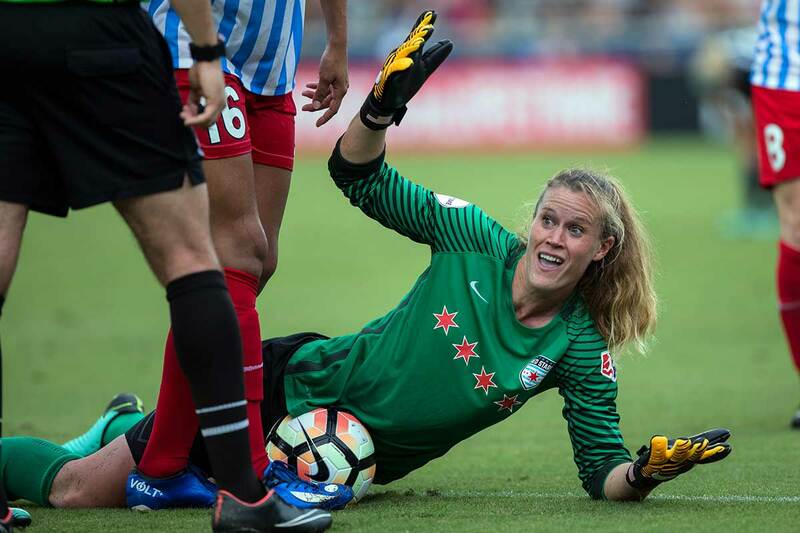 Lynn Williams not really feeling the shirt grab by Julie Ertz. When a game of Twister breaks out at a soccer match. Sam Mewis and Danny Colaprico. We’re sensing a pattern here, Sam. Sam Mewis and Christen Press vying for the ball. 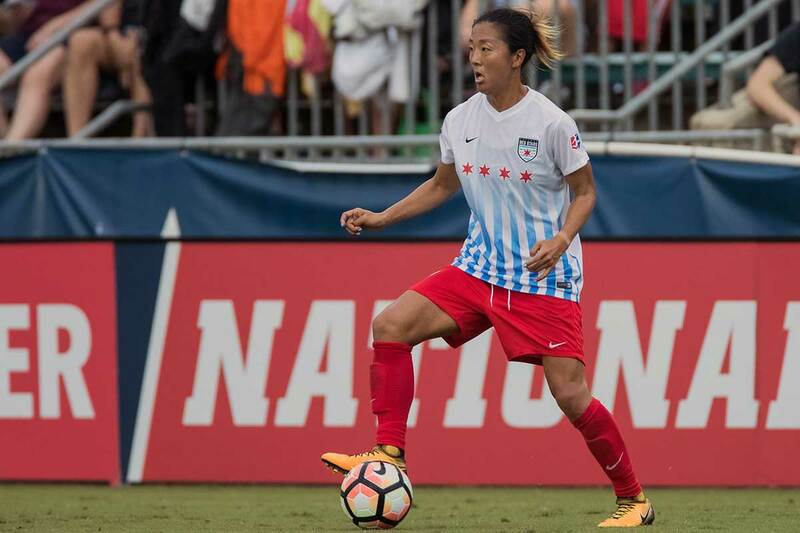 Yuki Nagasato of the Chicago Red Stars. Us too, Alyssa. Us too. McCall Zerboni of the North Carolina Courage. Julie Ertz sends the ball up the field. 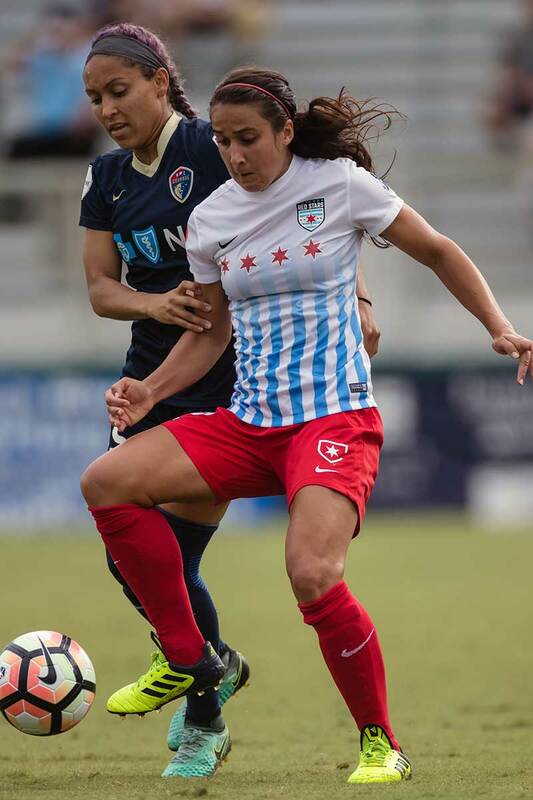 Alysaa Naeher in action for the Chicago Red Stars. 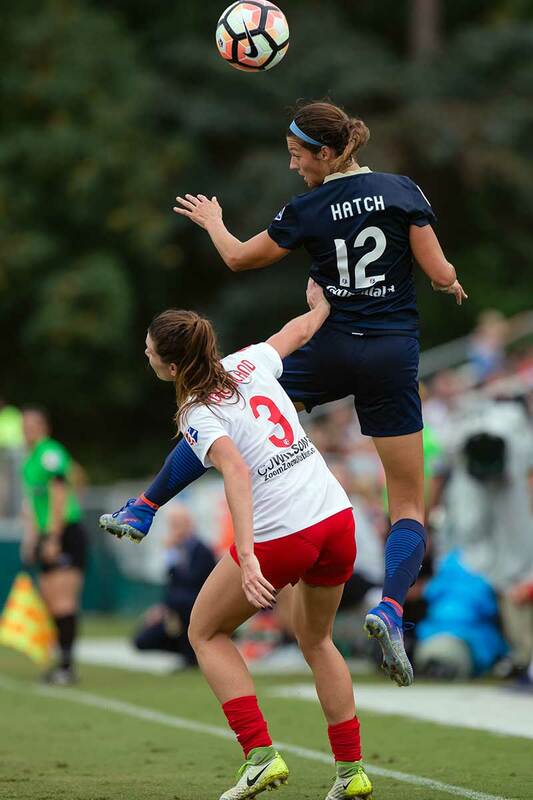 Taylor Smith on the attach for the North Carolina Courage. 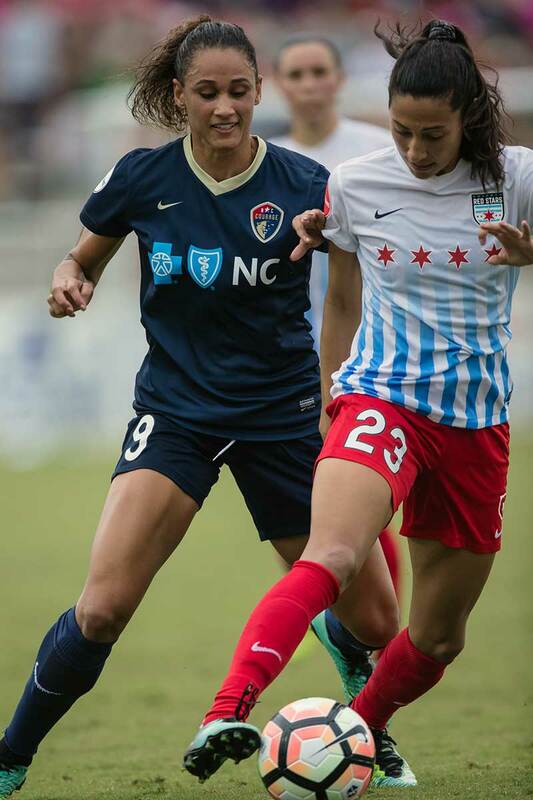 North Carolina’s Lynn Williams and Chicago’s Christen Press. Casey Short makes the tackle on Ashley Hatch. If not for Naught[on]. 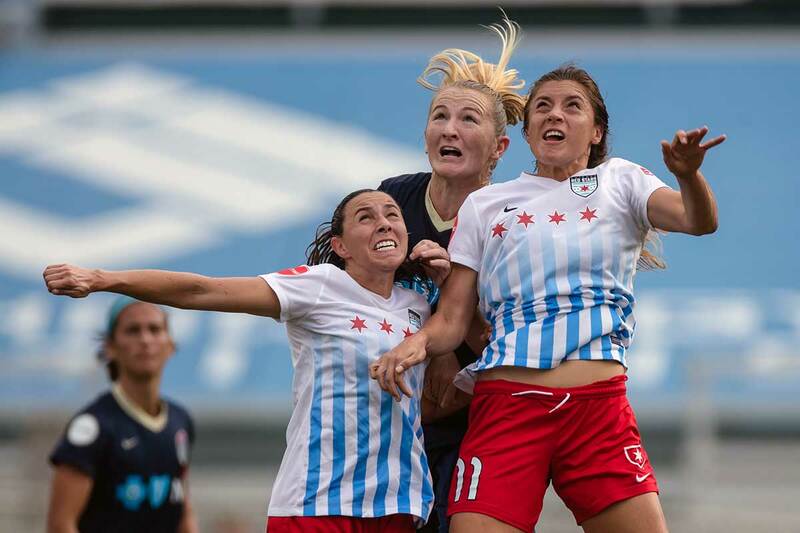 Katie Naugton makes a goal-line clearance for the Chicago Red Stars. Christen Press on the ball and on the attack. Lynn Williams looks for options. Danny Colaprico in the midfield for Chicago. Ashley Hatch rises for the header. This look says its all. 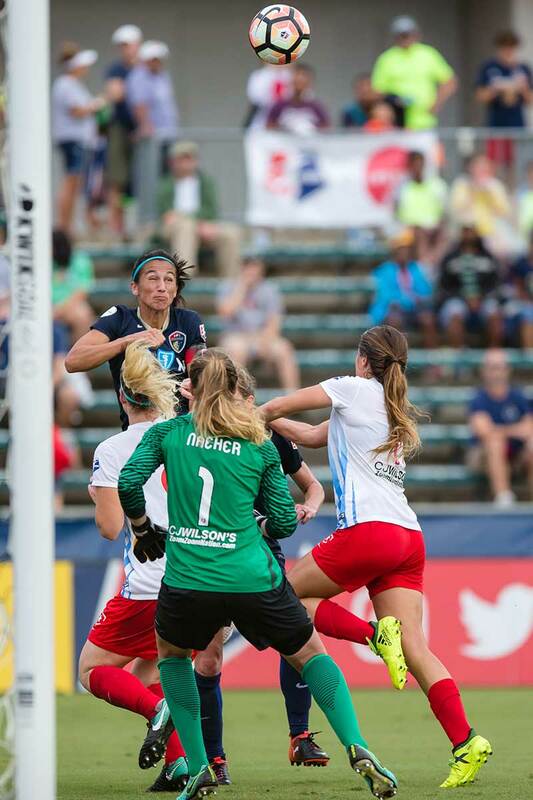 Alysaa Naeher makes a save for the Chicago Red Stars. Kristen Hamilton on the move. Danny Colaprico and Abby Erceg vie for the ball. Vanessa DiBernardo and Kristen Hamilton. Vanessa DiBernardo, Sam Mewis, and Sofia Huerta. 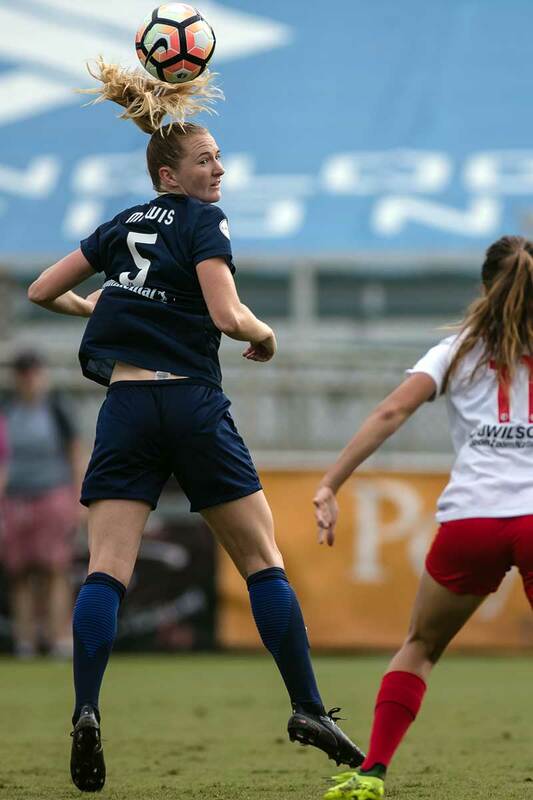 Sam Mewis maneuvers past Julie Ertz. Debinha helped off after suffering a dislocated elbow. Debinha after taking a hard fall. Debinha is remarkably calm after dislocating her elbow. 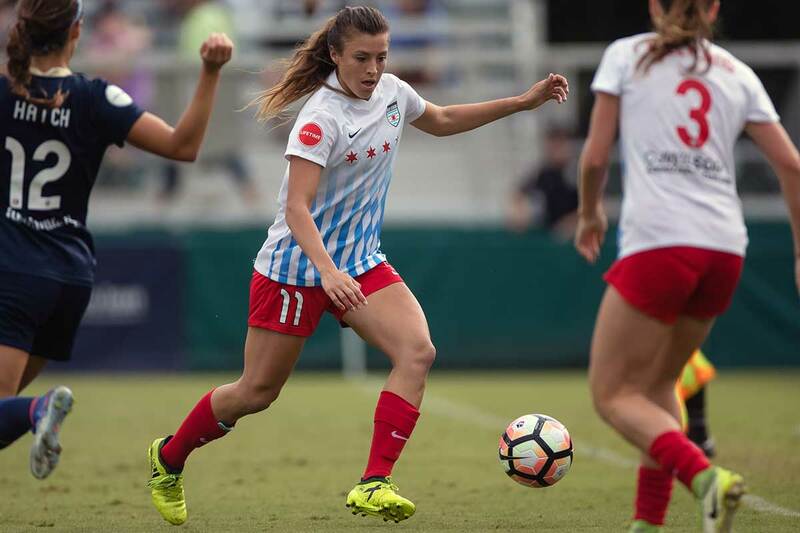 Jen Hoy holding it down on the field for the Chicago Red Stars.